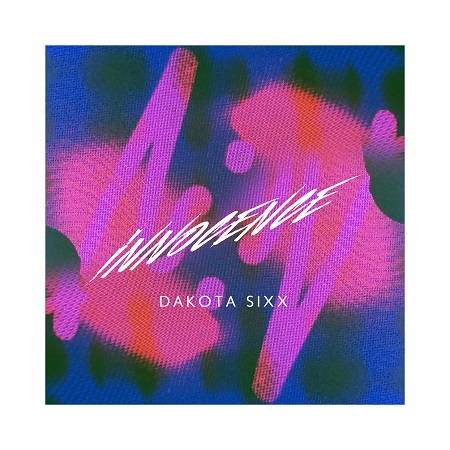 Fierce London-based electronic artist Dakota Sixx storms onto the scene with her double single ‘Innocence’/‘Lost Ya’, taken from her forthcoming ‘Innocence’ EP, out on 29th July via The Sound Of Everything UK. Originally hailing from Birmingham, Dakota recently relocated to London to fully immerse herself in the underground electronic arena. Since moving to the capital, she has collaborated with a number of up-and-coming producers such as Mikey B and Rinse FM-championed Nuvaman, who lends his production talents to ‘Innocence’, a personal track inspired by the bitter ending of a toxic relationship. In Dakota’s own words, “It got to the point where nobody knew who was in the wrong anymore, and we brought out the worst in each other. ‘Innocence’ talks a lot about how much of a love/hate relationship we had” – an impassioned subject matter which is reflected in the track’s layering of dulcet vocals over deep bass and a mass of frenzied synths. Armed with a talent for crafting carefully cutting lyrics and infectious melodies, Dakota’s music encompasses all of her favourite aspects from her various electronic influences, from dubstep and drum & bass to breakbeat and grime. Her forthcoming ‘Innocence’ EP will feature both original mixes of ‘Innocence’ and ‘Lost Ya’, alongside three special reworks, including a take on ‘Innocence’ by Bristol-based underground artist Fish, who has previously gained the support of Skrillex’ Nest HQ for his stripped back, rugged sound. Having already performed at the NIA Birmingham at Free Radio’s annual event alongside the likes of Pixie Lott, Little Mix and Conor Maynard, as well as being invited to perform ‘Innocence’ live onReprezent FM – where she has scored ‘Track of the Week’ not once but twice – Dakota Sixx is clearly carving a name for herself as one of Birmingham’s freshest exports.